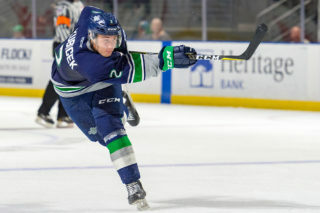 KENT, February 11, 2019 — Seattle Thunderbirds general manager Bil La Forge today announced forward Brendan Williamson has signed a WHL Standard Player Agreement with the team. 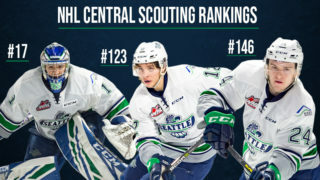 Williamson’s rights were acquired from the Everett Silvertips with Sean Richards, a second round pick in 2019 Bantam Draft, a third round pick in the 2021 Bantam Draft and a conditional fourth round pick in the 2022 Bantam Draft for Zack Andrusiak on January 1. 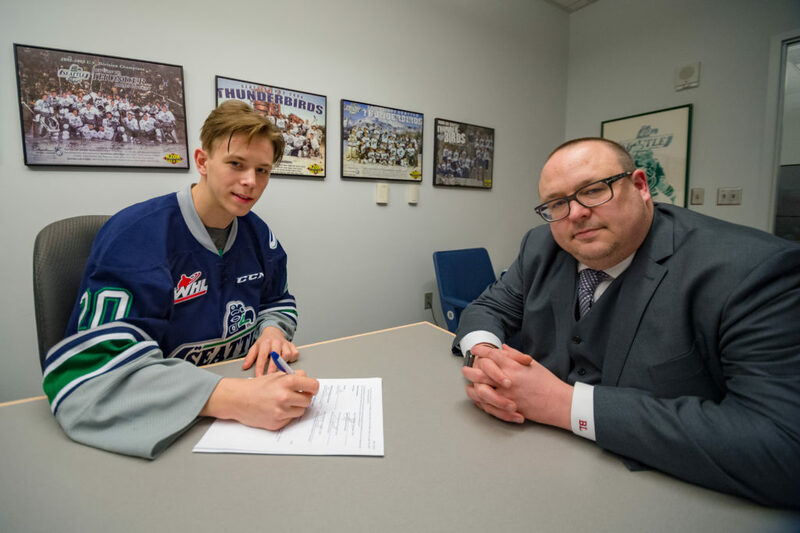 Brendan Williamson signs a WHL Standard Player Agreement while his mother Amber and T-Birds GM Bil La Forge look on. 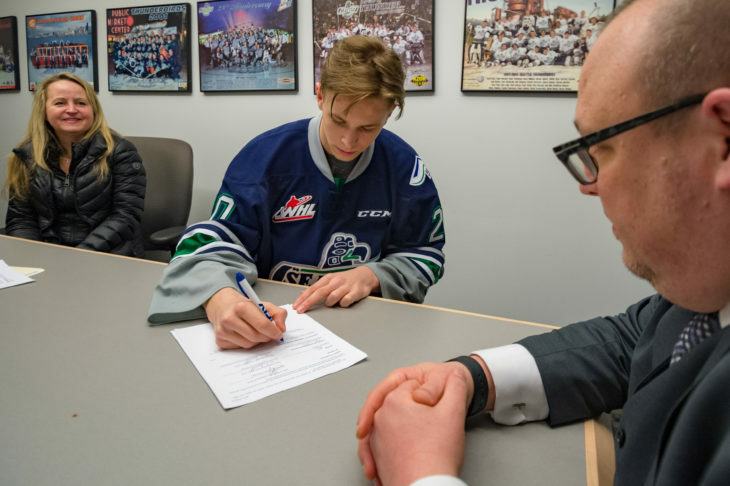 By signing a WHL Standard Player Agreement, Williamson is guaranteed a WHL Scholarship for every year he plays in the WHL. 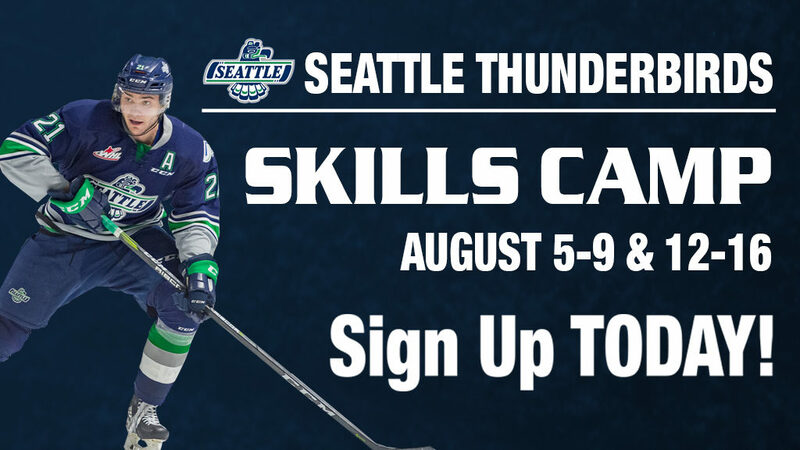 A player is able to attend any career enhancing institution of his choice, including universities, colleges, technical institutes, trade schools, or any other institution which will help the player achieve his academic and career goals. 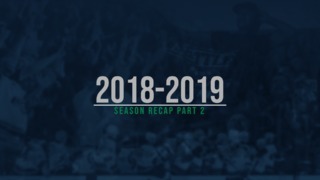 The T-Birds next game is Tuesday at accesso ShoWare Center against the Tri-City Americans at 7:05pm.